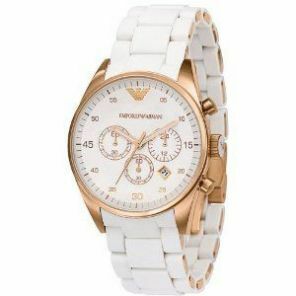 Emporio Armani Ladies sports watch. A white tone dial and a high quality quartz movement. 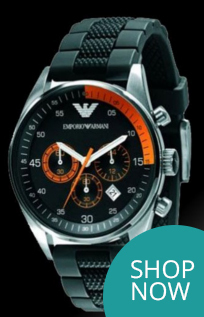 It boasts a sophisticated chronograph function with a date display between the 4 and 5 o’ clock hands.